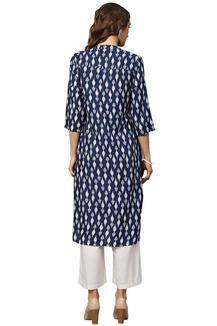 Channel a winning, ethnic style with this high low hemline kurta from the house of Juniper. It features a printed pattern that gives it a distinct appeal, while the mandarin collar and the three quarter sleeves enhance its design. 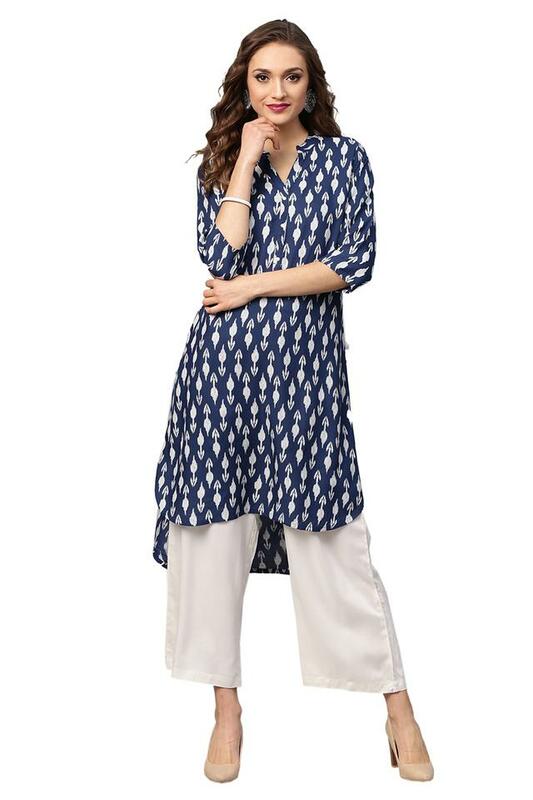 Moreover, the rayon fabric make it comfortable to use. Modernize your wardrobe collection with this beautiful kurta. 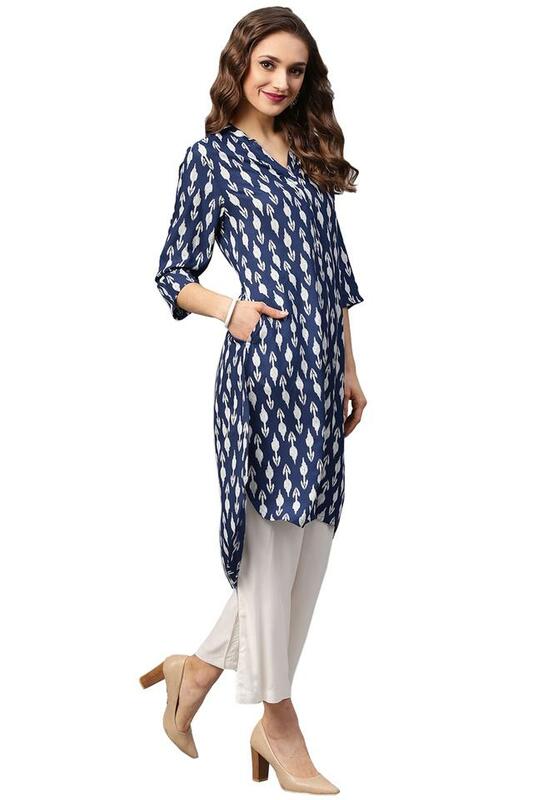 Team it with a pair of leggings and wedges to look elegant for any casual occasion.